Chicago Cubs Birthday Baseball at Chase Field! Today is my son’s birthday! 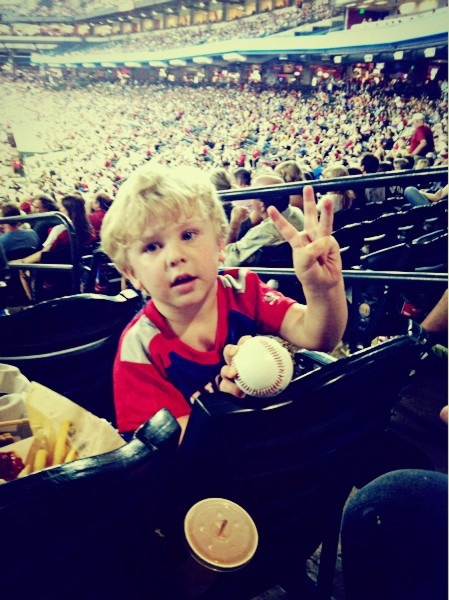 Over the weekend we treated him to the Cubs vs. Diamondbacks baseball game at Chase Field in Phoenix. 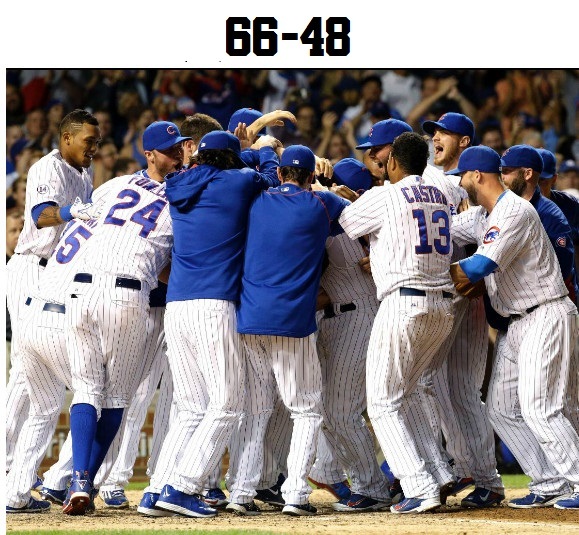 My husband grew up in Chicago so we are indoctrinating them early as Cub fans. 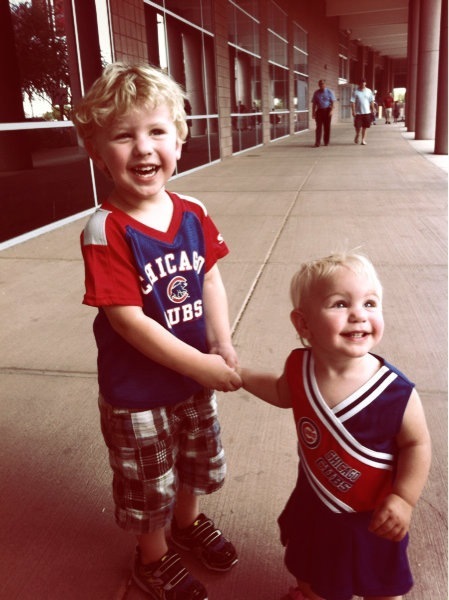 I found these adorable outfits right near the Cubs spring training facilities. My dad is a former MLB player so he has a special gold card he can use to get into any game, anywhere, anytime! It’s a really wonderful treat and we got great seats behind home plate. I think they both enjoyed being at the game and we all shared popcorn, hot dogs, soft pretzels with cheese and french fries. 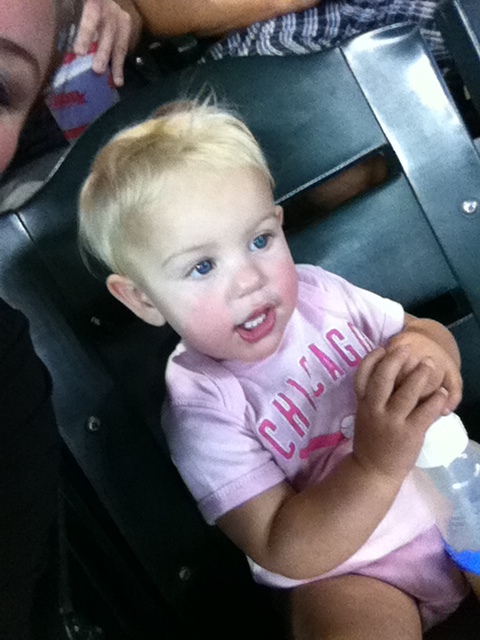 We left after the top of the 5th when the Cubs were in the lead and we were happy and tired. Thanks, Dad and Happy 3rd Birthday, Chuck! Here the Bear is telling us how old he is, isn’t he doing great with his finger signals?! He’s growing up so very fast. Baby girl had a wardrobe change early on because it was so dang hot! She was a trooper and charmed everyone around our seats.